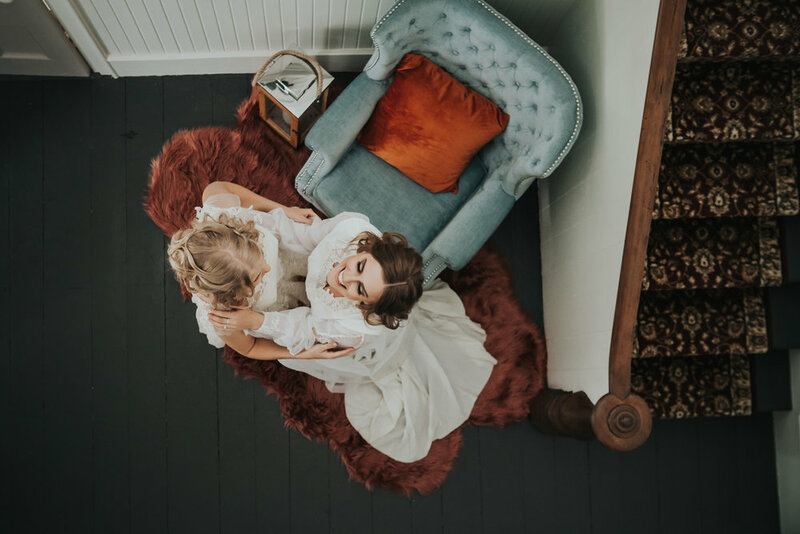 This August, Marly who owns The Grand Victorian reached out to me to help put together a last minute styled shoot, and since we all know how much I LOVE this venue, I jumped at the opportunity! 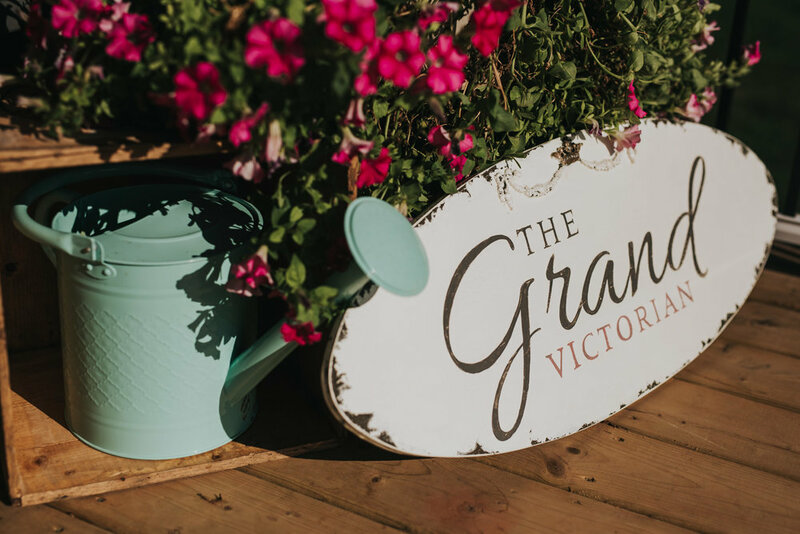 Take a walk through picturesque Victoria-by-the-Sea and you can’t help but notice many things: water as far as the eye can see, tourists galore, some of the cutest little attractions, and the newly restored Grand Victorian Weddings and Events Venue. 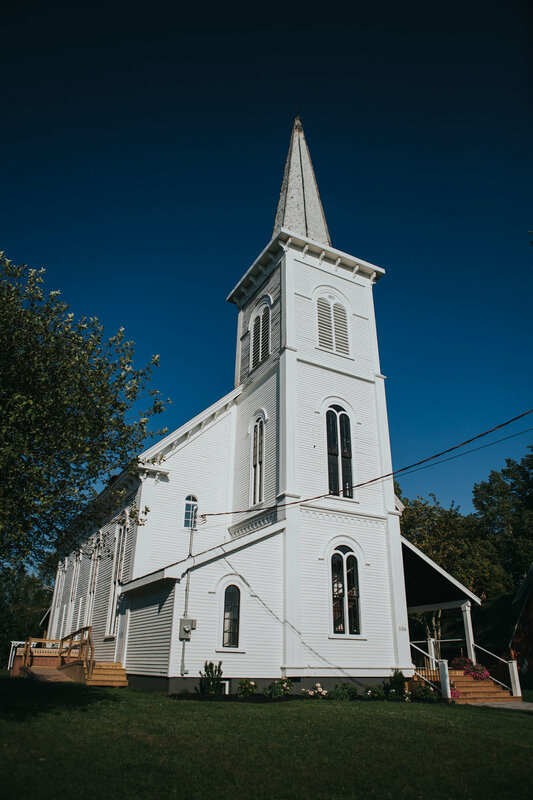 Built in 1877, The Grand Victorian is known to most as the Victoria United Church, a Gothic Revival architectural masterpiece. 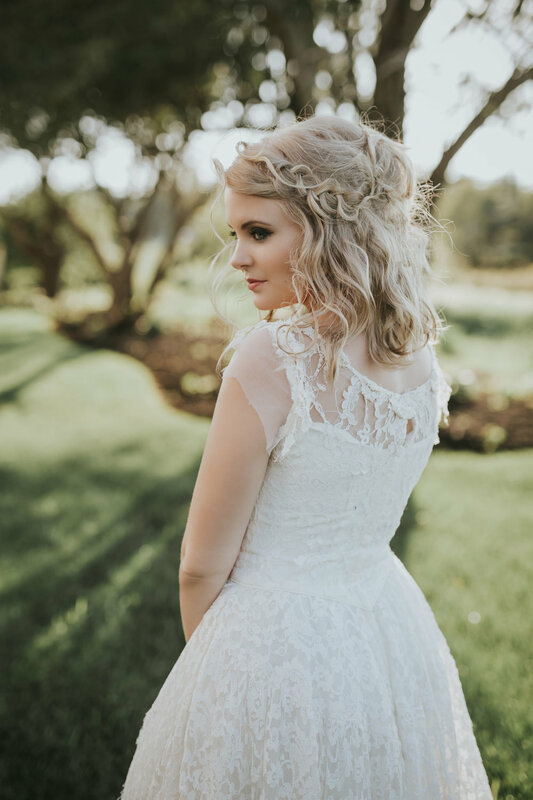 Owners Marly and Greg Anderson have recently restored the church, having opened it as a weddings and events venue, and the vintage elegance of the space gives inspiration to this styled shoot. 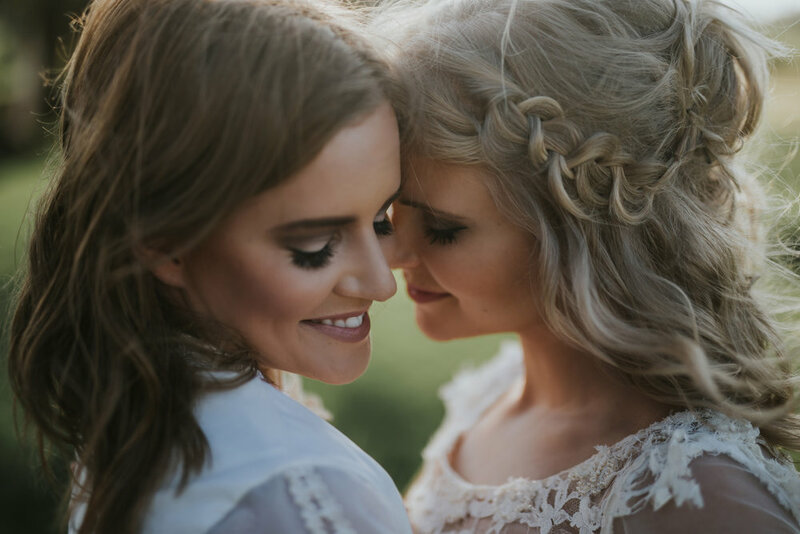 Our brides, Ancelene MacKinnon and Mikala Dewar, are both wearing vintage wedding dresses hand-selected by Katharine MacDonald of Of The Island. I dressed the beautiful harvest table with vintage milk glass vases from my collection and medicine bottles from Katharine's, pairing them with local wildflowers from Isobel’s Flower Farm. Vintage china and crystalware completed the table. 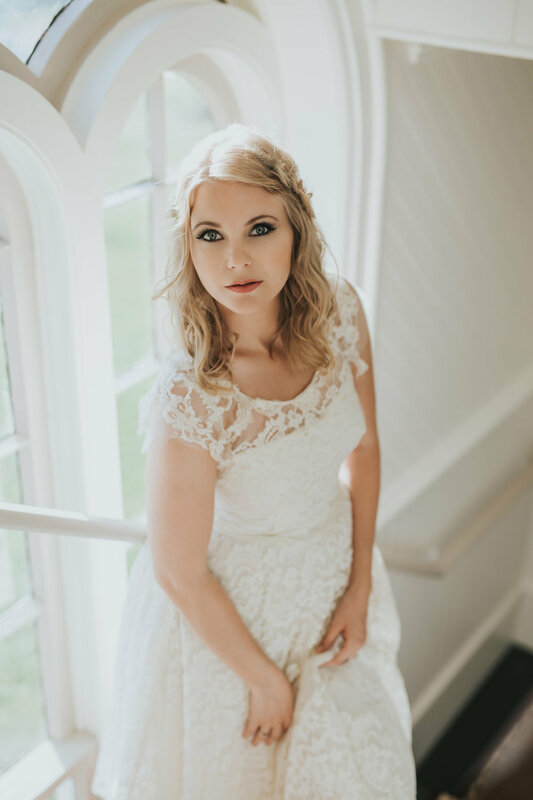 Juliana Wigmore of Spark and Whimsy Photo was visiting PEI from British Columbia and was itching for a beautiful shoot, and I think we definitely achieved that! See for yourself below!